Kurnool, as a village, has existed for more than 2000 years. 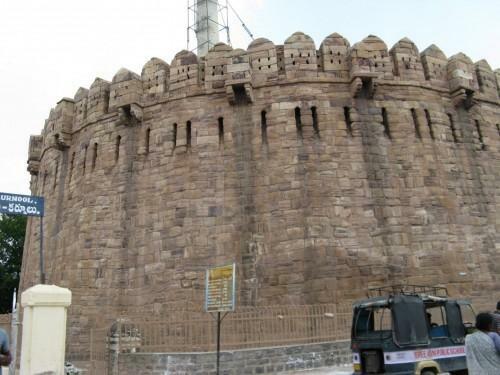 Kurnool was a major fort during the reign of the Vijayanagar emperors. There is still a grand citadel, Konda Reddy Buruju, which symbolizes the glory which the town enjoyed in Vijayanagar times, but it is not certain how the watchtower got its name. According to one old story, the fort was built by King Konda Reddy. Kurnool city lies on the southern banks of the Tungabhadra river. It is the headquarters of the mandal, the revenue division and the district of the same name. It was the capital of Andhra State from 1 October, 1953 to 31 October, 1956. In pre-historic times, Kurnool formed a part of Dandakaranya forest and Sri Rama and Sri Lakshmana came to this part of the country in search of Sri Sita. The famous Chinese traveller Hieuntsang, on his way to Kanchi, passed through Kurnool. The name Kurnool is said to have been derived from Kandenavolu Regarding Kandanavolu (a Telugu name by which it is referred to in the inscriptions and literature of the past), there is an interesting legend. According to the legend, in the time of the Western Chalukyas of Badami in the 11 Century A.D., the Vadderas who carted stones of the construction of the temples at Alampur (also known as Dakshina Kasi in Mahaboobnagar District) used the site on which the city now stands as a halting place before crossing the Tungabhadra and greased their cart-wheels with oil, locally supplied by some of the oil mongers and called the place Kandenametta. This circumstance led to the formation of a small settlement on the spot which subsequently came to be known as Kandenapalli, Kandenolu and Kandenavolu, the city of Kandena or grease. It is also interesting to note that the site which was used as a halting place by the Vadderas in those days is still known as Bandla Metta (Bandla means carts; Metta means headquarters or halting place), a street in the Old Kurnool city. In some of the inscriptions, Kurnool is referred to as Kannadu or Karu Nadu (Karu means black; Nadu means territory). 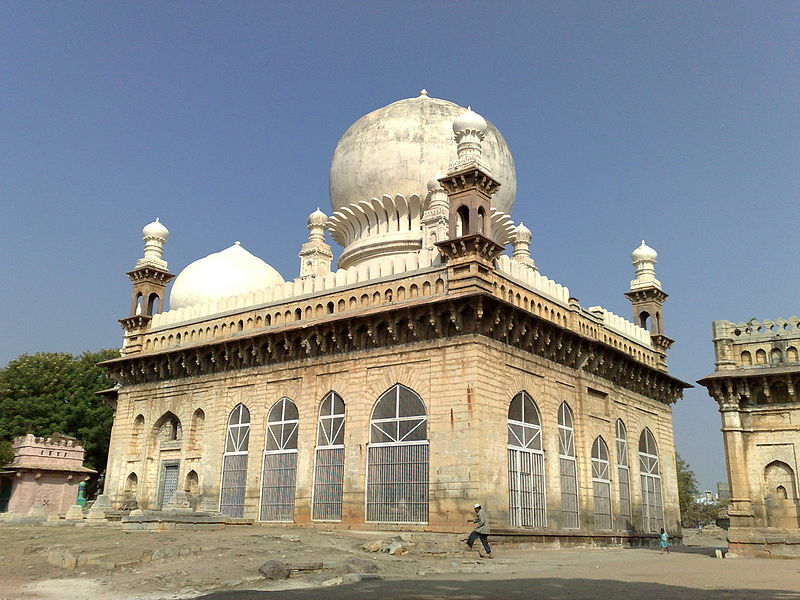 Some scholars argue that Kurnool derived its name from Kallu which means stone and Nadu which means territory. Kurnool is also said to have been derived from Skandanavolu, the city of Skanda or Kumaraswamy. 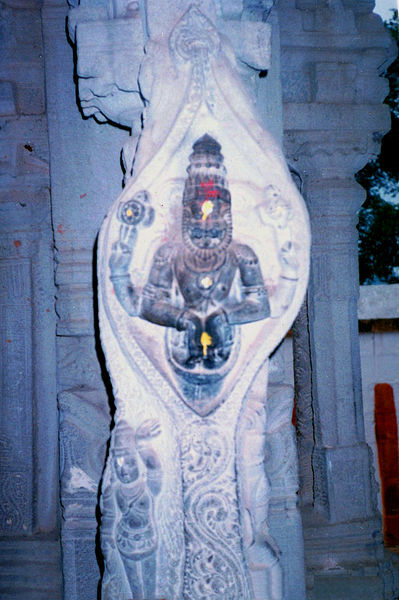 The worship of Skanda in Andhradesha is very ancient. The cities were also named after Skanda, the chief God of war of the devas. Kurnool is also referred to as Dakshina Shirdi as the first ever temple of Lord Shri Shirdi Sai Baba was built in Kurnool. This temple was built even before the Shirdi Temple was constructed. This stellar or star-shaped temple is on the banks of the Tungabhadra river. Also called Erra Buruzu (Erra means red; Buruzu means watch-tower) one of the ruined fortifications of the Kurnool Fort is now in the heart of Kurnool (adjacent to Victory Talkies). It is so called because it was built with red sand-stone. It is circular in form (nearly 300 ft. in width) and was surrounded by a moat in the past. It is connected by a flight of steps. From the sculptural evidence, it can be presumed that this Buruzu which formed a part of the Kurnool Fort was built by the Vijayanagara rulers and it played a significant role in history during the successive dynasties. The walls of Erra Buruzu stand out for their architectural finesse and historical importance.